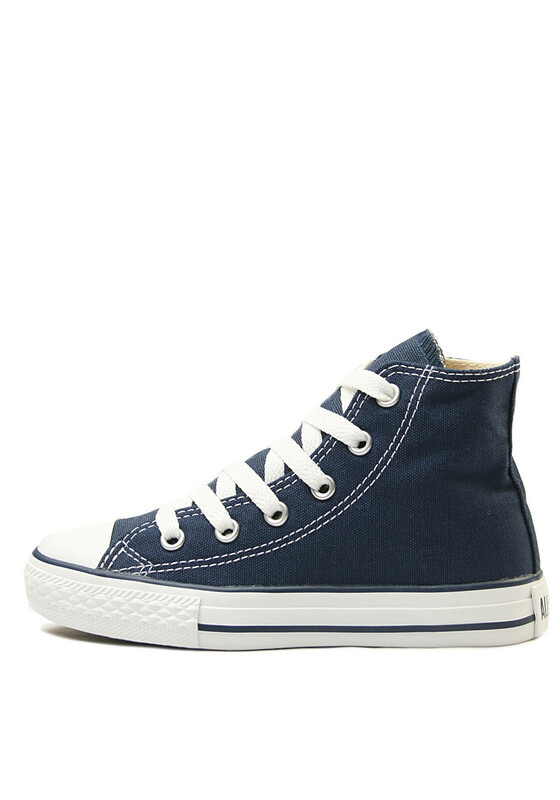 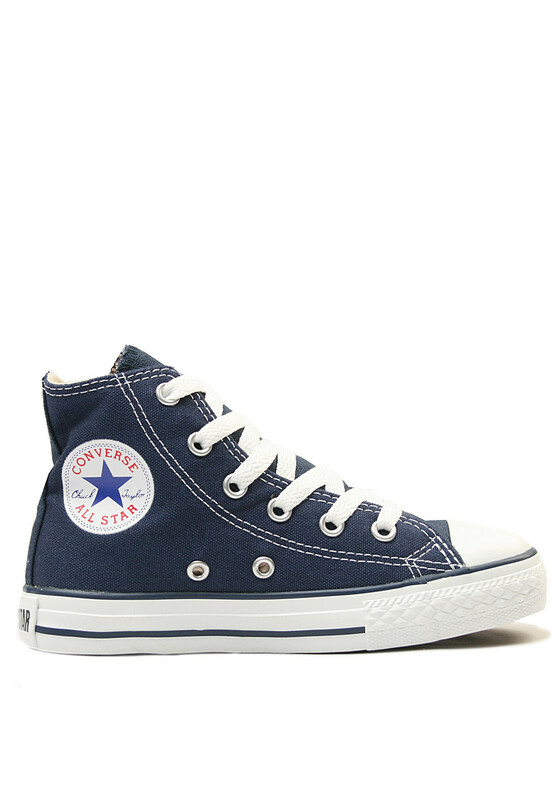 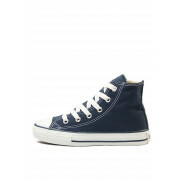 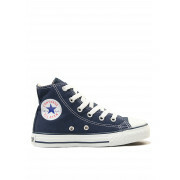 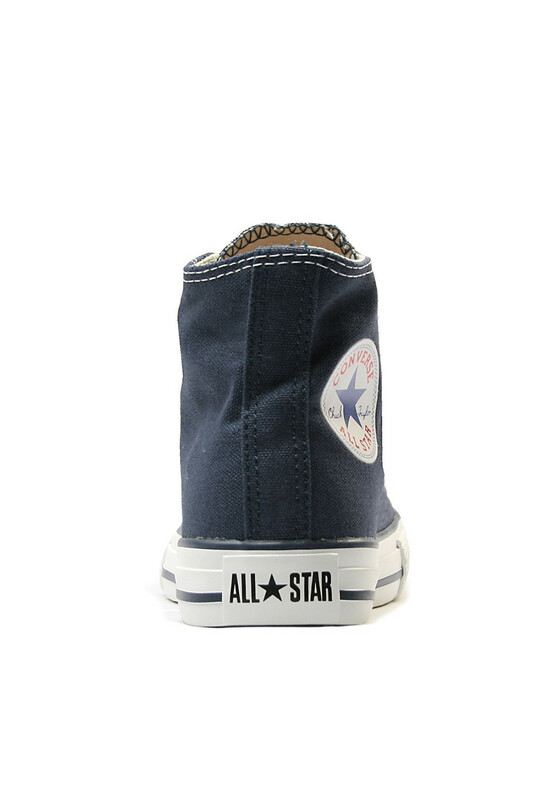 Classic Converse All-Star hi-tops in navy. 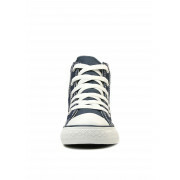 The trainers have canvas upper, rubber toe guard, white laces and the Converse All-Star logo at the side and on the heel. 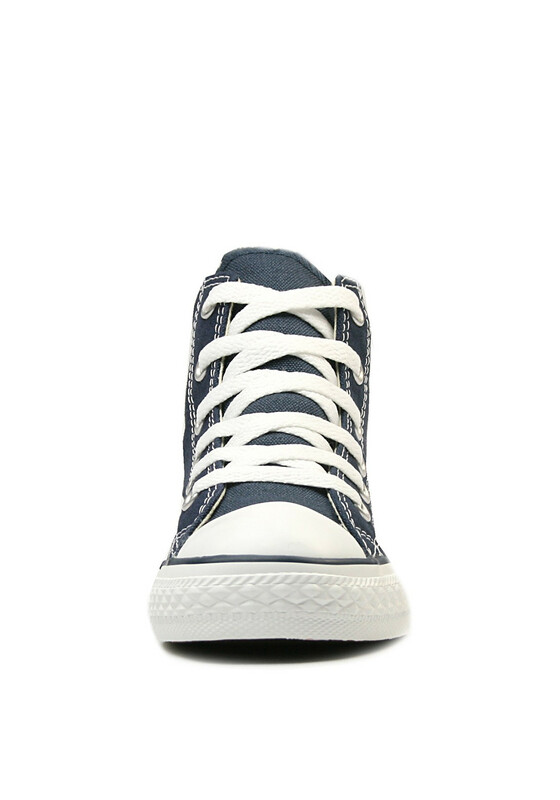 The rubber sole has a black stripe running through the middle.